Let me try to explain the question in more detail. During the capturing run, take a sample image, calculate the white balance corrections and apply them as camera colour gains (Red gain and blue gain) or perhaps adjusting the chromatic gains (U and V)? What I want to create is an automated white balancing system that takes in the desired temperature and based on a sample image calculates "future" red/blue gains or U/V gains. Do modern cameras when setting the temperature do this or do they simply post-process? Many thanks in advance and I do really understand that I might be completely wrong and such a thing is not possible, since all my research I am doing is describing how to change an image that has been already taken. Assuming your helicopter is going to be operating outdoors you would want to follow a procedure different from that engaged in by pictorial photographers. Accepted practice for remote sensing operations is to radiometricaly calibrate your camera system. This means to establish a standard illuminant and record the camera's channel-specific response curves. Opto-electronic engineers will accomplish this task using an integrating sphere and bit-wise access to the digital response of the sensor. Once response is characterized, a transfer curve can be used to calibrate the total system response to an absolute radiometric state. This is generally accomplished by applying a RGGB transfer curve between the debayer and demosaic steps of post processing. If you have imagery in a known radiometric state you can then reconstitute it in any other color space or appearance you like. This engineering rigor can be approximated using more readily available materials. The illumination on a bright, sunny day at noon at a moderate latitude is well known. If an image of a reliably uniform and spectrally balanced subject is captured under these conditions, a reasonable (accurate to around 3%) characterization can be made. To ensure the accuracy of your calibration, be sure to double check the spectral characteristics of your subject (for example, check it's metamerism properties) and also use varied exposure to investigate the toe and shoulder of your response curve. Remember that in remote sensing applications we prefer imagery that is uniform to that which is pretty. Use rigorous calibration, be meticulous with your ground truth and good looking pictures will be a natural by-product. Sure, there's no reason you couldn't take a previous image, calculate the white balance, and apply that to a future image. You can even get fancy and attempt to predict what the white balance will be, based on changes over the last X images. But why would one do this? 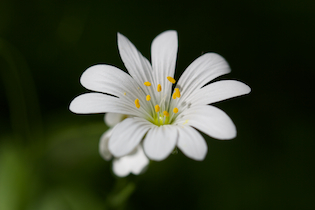 You're always going to get better results by examining the actual image which you're white balancing. In video you probably want some hysteresis to prevent abrupt and jarring shifts, but in photography that is not a concern. If you mean "change the gain of three-primary-color(just like adjusting the tone curve) but not the gain of the CMOS' channels to achieve the pre-set white balance"
Because the white balance actually change the "color matrix" (converting the signals from sensors'/color gamut to a certain color gamut(e.g. Rec.709) by mixing the signals from different channels). And that is the reason of being impossible. 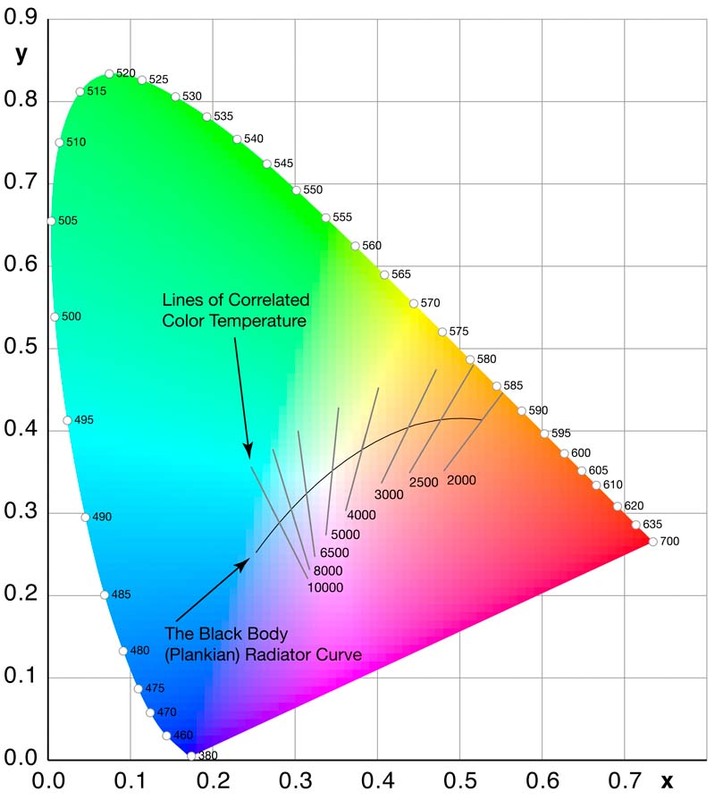 First things first: Color Temperature is but a single axis of two dimensional White Balance. The blue←→amber axis of color temperature is roughly perpendicular to the green←→magenta "tint" axis when plotted on a 'color wheel'. The b axis is more or less what we call 'color temperature' (the actual color range of black body radiators would be a curve, starting at -b* and hooking right to exit between b* and a*) the a axis is what we call 'tint'. 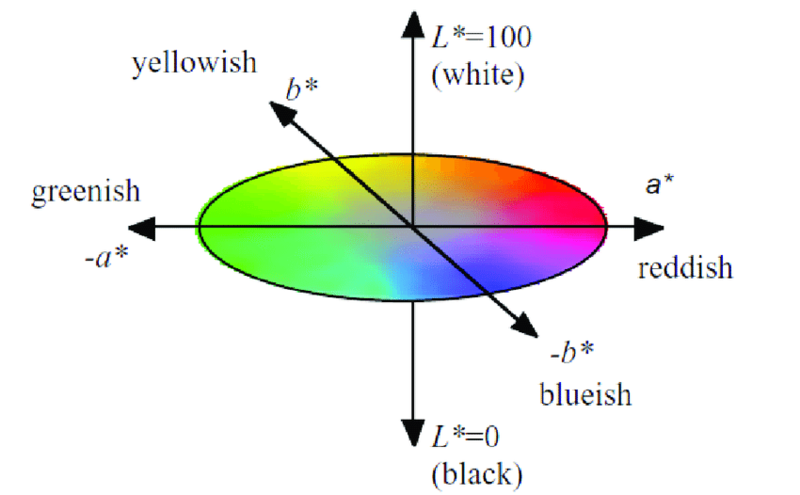 But when plotted in CIE xyY color space, neither "axis" is a vector with a constant slope. Nor is the 'color temperature' axis a simple line between pure blue and pure red. Here's a closeup of the area that the black body "color temperature" range moves through. Notice that as the color temperature changes, so does the angle of the green←→magenta range. What this means is that it is even worse than you thought. You could have two different lighting conditions in which the illuminant is 5500K and one source could be more magenta and the other source could be more green. You would need to use different red and blue multipliers to make objects look the same colors under each 5500K light source. Your question is manyfold, I cannot see the technical task behind it so clarrify anything you want in comments. Do modern cameras when setting the temperature do this or do they simply post-process? Yes. Record raw images and post-process everything. Raw file can be slightly cooked (NR by Fuji, channel scaling by Nikon, compression artifacts in Sony MILC) but it's still excessively excellent in most cases. You are already loosinig information whenever you use a tristimulus camera, you are loosing even more when you white-balance an image non-optically. I am not talking like there are any practical alternatives. Not the answer you're looking for? Browse other questions tagged white-balance or ask your own question. How to estimate colour temperature of the illuminant from a photograph of a standard colour chart? Will I lose image quality by adjusting white balance in post processing? How to set tint if one is colour blind? Hotshoe flash with adaptable color temperature? How to scale between two white balance settings for perceptually equal increments? How does Kelvin for color temperature relate to Kelvin for actual temperature? How to set color temperature to get images with a strong red color cast?